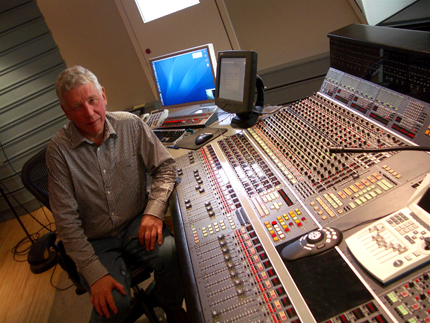 ”A good sound comes from a good musician and a good instrument”, says Jan Erik Kongshaug, founder of the famous Rainbow Studio in Oslo. 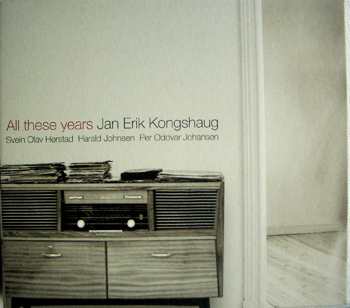 Jan Erik Kongshaug is a well-known sound engineer in the world of recorded jazz music due to his close co-operation with Manfred Eicher and ECM. 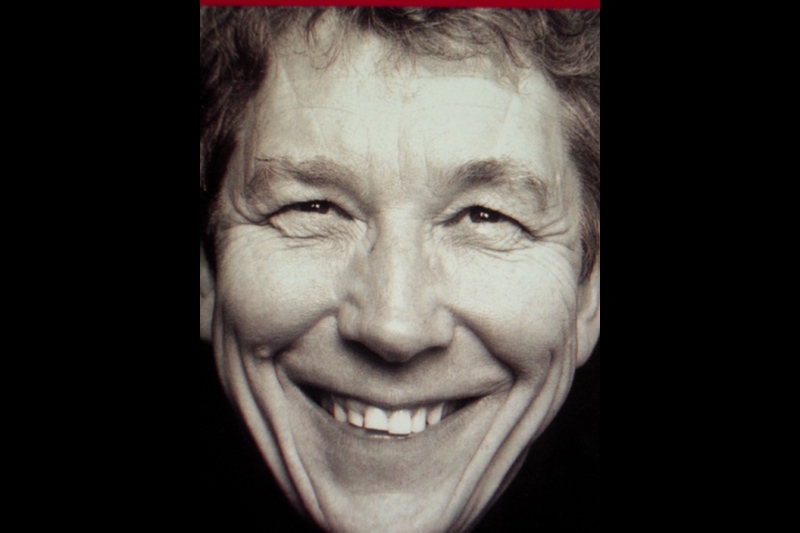 Over the past thirty years he’s recorded hundreds of albums for ECM. Many of those – albums by Keith Jarret, Jan Garbarek etc. – are today’s classics. After working at the legendary Power Station studio in NY, and Arne Bendiksen and Talent studios in Oslo, he set up his own Rainbow Studio, one of the finest recording studios currently. The Rainbow Studio recently moved to a new address, Sandakerveijen, in Oslo, and that’s where IWA met him. Inner: Yesterday I talked to Kari Bremnes, and as you well know, her records have been a big success among audiophiles around the globe. Jean Hiraga of Nouvelle Revue Du Son uses Kari’s records as an example of an exceptionally good sound, and as providing great samples to test the system’s sound reproduction capabilities. You’ve recorded most of her of better known albums, so the obvious question is … the one you never heard before … what’s the secret of your sound? JEK: I think my reputation comes from what I’ve done for ECM, and less from making audiophile recordings. I don’t make a difference whether it’s Kari Bremnes or somebody other. I’m not aiming at some audiophile quality of the sound. The reason why some records sound better than the others is that there’s a good performer, a good instrument … we for instance have a really fantastic piano hear. People are coming over from all over the world to either mix or record albums here. If I’m just mixing they’re expecting me to give them the same sound as I give to my recordings done at my studio, but that’s not possible because often their pianos and other instruments are not that good. Inner: Your piano, what is that? JEK: Oh, it’s a hand-made concert piano, Steinway D-model, but the reason why it’s so good is that I have a great tuner, really great. When he’s not available, I use others but it’s not the same instrument, believe me. People just do not realize that a piano needs to be worked all the time in many ways, not only tuning it. Even a great piano can be ruined in half a year if it’s not sufficiently taken care of, and I have a feeling that most studios do not. Kari Bremnes is a good artist, and she’s got good musicians. It’s easy to have a good balance and sound with that combination. Another thing is that many recordings nowadays are made cheap, without competent mixers, working internally with digital workstations, and so on, and that makes the sound terrible, narrow and bad. Inner: And you use …? JEK: I have a mighty Harrison console, which is a digitally controlled analogue console, and I’ve got really good reverbs, and all those things. It’s a lot of things put together. Inner: Do you use any tube gear? JEK: Yes, I use tube microphones. But it’s not only mics, other equipment is equally important, and you have to have musical taste to get a good balance, to play with reverbs etc. It’s very important that I’m a musician myself. Inner: People have paid attention to the way in which the low bass is recorded in some of your albums. Is there something special you do with the bass? JEK: No. Again, all that is needed is a good bass, a good microphone, high quality A/D-converters and so on. Many things contribute to a great sound: if one link is bad, the sound immediately becomes worse. There will always be different ideas of what makes a good sound, and what not. I have done many recordings that people don’t like because there’s too much reverb, too much this, too little that. Often it’s a matter of taste simply. Sometimes I may not completely agree with the producer on the sound but working together with the artists and the whole group we usually get the sort of results we wanted. Inner: Do you apply any compression? JEK: Yes, I do. It’s a necessary evil. Maintaining full dynamics of a recording simply doesn’t work when people are listening to records through car radios etc. But it’s important to compress with taste, and only at the mixing stage. Inner: As to this new Rainbow Studio, to what extent it’s treated acoustically? JEK: The acoustics is not very live but it’s more live than the old studio. If one wants to fill a room with more natural reverb the space ought to be much bigger than 200 square metres. 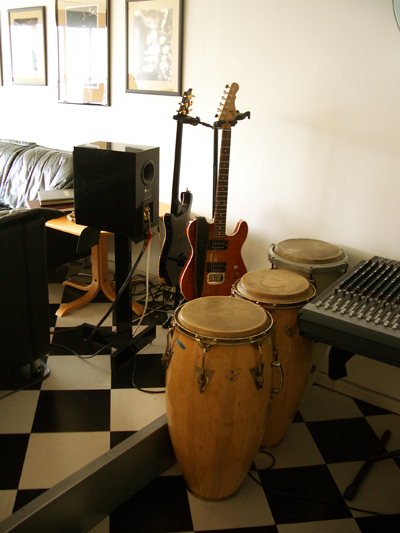 But this space OK to me, since I always use artificial reverb when I record at the studio. Live recordings in some public space are a different thing. Inner: I know you don’t like the idea of the “Kongshaug sound”, but you must have at least some principles when you do a recording? To hear the whole band playing together is what counts, not individual instruments separately, and in the end it’s ear that decides, there are no fixed rules. JEK: Well, I try to keep in mind how the instruments sound naturally. This has not changed much since the 1970s. I don’t use much EQ, if a guitar sounds bad I can put a little less treble and that sort of things in the mix but that’s all. 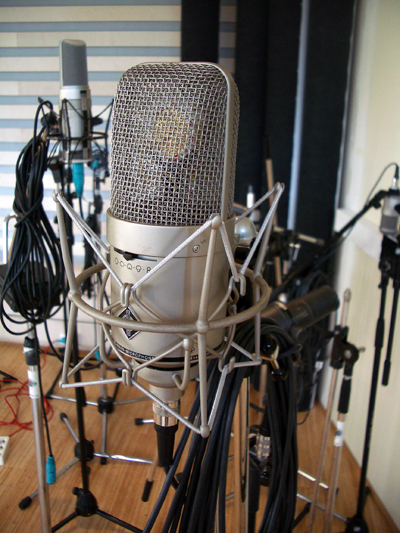 With best condenser mics, Neumann M-149 for example, no much EQ is required anyway. I work with panoramas, balances, reverbs … I do a lot of work with rooms, analyzing them, I can use eight or ten different reverbs, one for a snare drum, one for a tomb etc. Combining different reverbs, that’s my art. But adding few decibels here and there, no that’s not what I do. You see, it’s not that simple because the sound of a voice or an instrument depends on many factors, for instance on how close the sound source is to the microphone. To hear the whole band playing together is what counts, not individual instruments separately, and in the end it’s ear that decides, there are no fixed rules. Inner: I don’t see the usual Yamahas or Genelecs for near field monitoring …? JEK: I do have Genelecs, in the hall, but I don’t like to mix with them, they are great speakers but not for me in mixing the records. They sound, at least the older ones I have here, good in the short run but over a longer period one starts to have second thoughts … I’ve got Dynaudios, and now I use B&W proto monitors, and I like them. Inner: I guess you occasionally at least go and check how your recordings sound at home. What’s your home system like? Inner: You said you’re a musician? What’s your instrument? JEK: Guitar. My farther was a guitarist, and I’ve been playing guitar since a young boy. I’ve got some great guitars too. I once had an original Gibson ES-170 but sold it to get a more modern one. One of my biggest regrets ever. In 1998 I released my first personal album “The Other World” together with Sven Olav Herstad, Harald Johnsen and Per Oddvar Johansen. Half of the compositions are written by me, half are standards. Inner: Thanks Jan Erik! And thanks Trygve Jaeger for making the arrangement for this interview.